MAD-news for January: MAD-magic for the New Year! In the last five years, we have had our fair share of mini and massive wins. We have also had some pretty substantial mini and massive fails. In the process of introspecting on what our journey has taught us thus far, I uncovered 5 pivotal moments that helped us become the successful team and EdTech company that we are today. 5 pillars, if you will, that have become our foundation, what we rely on and need to remember, in order to grow into the next 5 years. You can learn more about these 5 pillars in a series of posts that will be published on our blog this month, as we celebrate 5 Years of MAD-learn. Stay tuned! To appreciate the essence of the MAD-learn program, all you have to do is watch a project like the one we witnessed recently in White Plains, NY. About twenty high school students from area schools volunteered to work together in order to create an app for the Putnam/Northern Westchester BOCES’s CTE Program. These “student ambassadors” were chosen from each program because of their exceptional grades and work ethic and worked together to begin creating a recruitment app to encourage peers not in the program to check it out and spread awareness about the diversity and scope of CTE programs. What was most striking about the day spent with these students was the natural way they embraced the design thinking process. From the very start, students assigned themselves into groups that aligned with the main elements of the app they envisioned. Moreover, they re-created the very structure of program offerings, itself. Each group had a clear understanding of their assignments and owned the work they did. By the end of the day, they were well on the way to completing a solid foundation for what they called “Version 1.0”, scheduled to be released by the end of this month. Look for it on the MAD-store soon, and read more about the project on the PNW BOCES web site! We are pleased to recognize the incredible level of organization of Laura Spence, K-12 STEM Specialist and Head of the Pinellas County Schools’ STEM Academies. 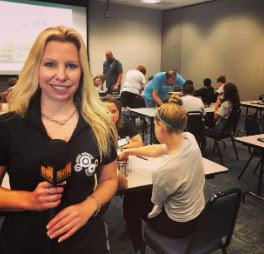 Her attention to detail and dedication to the success of the 50 MAD-learn teachers at schools all over one of Florida’s largest school districts has made the introduction of MAD-learn a great experience for all involved. Not only is she one of the most “together” educators we’ve ever worked with, Laura has enthusiasm and positivity that are completely infectious. She is well liked and well respected by her staff, and we here at MAD-learn definitely echo those feelings. We love working with you and your team Laura! 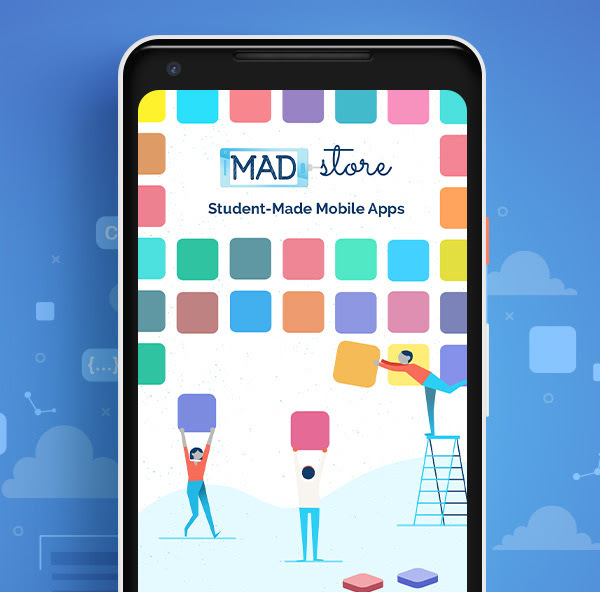 Be on the lookout for a new and improved MAD-store app – coming soon to the Apple App Store and Google Play Store! Everything from design and organization to search functionality is being completely redeveloped (based on your awesome ideas) for a more effective and fun experience for both iOS and Android users. Hurry and find those diamonds in the rough, watch for student apps that deserve to be added to the public MAD-store, and submit them today. ©2019 MAD-learn®. All rights reserved.